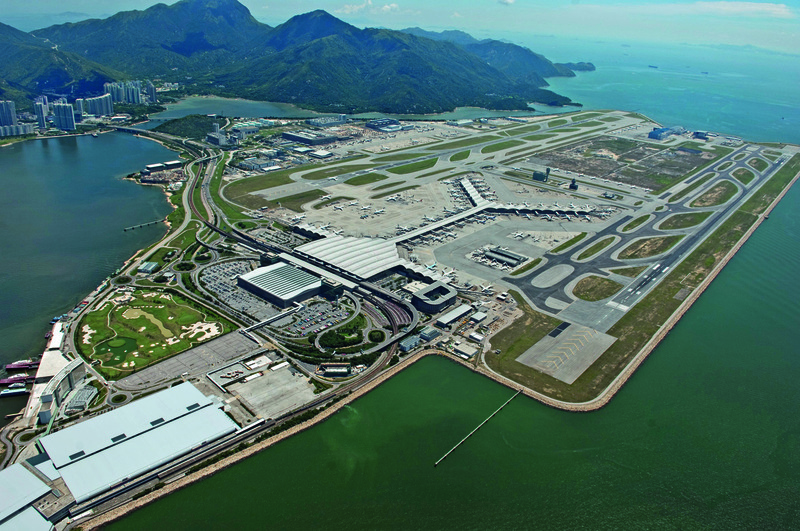 Despite the fact that the new airports are always larger and full of high-level technologies, the international airport of Hong Kong -opened 20 years ago- is still considered one of the best in the world, since its project has set standard for all similar infrastructures. But in the next few years the airport will be further expanded; a program of works that will occupy 10 years costing about 18 billion dollars (15.49 billion euros), and that will allow to enlarge the terminal 1 -with a 200 meters high suspension bridge-, to build new buildings for the airport authority of Hong Kong, hotels, offices, restaurants and shops and -finally- the third track, which will be parallel to the current ones. The biggest and most expensive upgrade will be the new track, scheduled for 2024 and which will be built on the water after a reclamation of the area. This is one of the most debated and contested points, since in the waters of Hong Kong lives a species considered to be at risk of extinction -the Chinese white dolphin- and environmentalists want to stop the construction project. The airport authority has repeatedly clarified that the impact on the ecosystem will be minimal, underlining the importance of the new track to manage the increase in traffic expected for the coming years; because if about 73 million passengers pass every year, in 20 years these numbers could double, making it impossible to manage them with the current infrastructure. Furthermore, the next opening -for the end of the year- of the Hong Kong-Zhuhai-Macau bridge, the longest in the world on the sea, will increase the number of passengers and airplanes, since the airport will become the hub of an important macro-region both from the point of view of tourism and business travel, and for the traffic of goods. The only way to manage everything, probably, will be to continue to enlarge the airport.